Ever since the glorious days of Broadway, musicals have been a favorite thing for audience and critics as well. Many musicals have lukewarm hearts and sold-out innumerable amounts of crowds with their fanciful lyrics and remarkable story lines. Over the years, a few musicals have stood out and have forever changed musical history. Many of these enormous musicals have been turned into box office hits and their soundtracks have reached topped the charts, but this time we prepare a list of the most popular musicals in 2013. The Lion King is an impressive visual spectacle. Gorgeous adaptation of Disney’s much-loved film transfer audiences to an incredible world that explodes with magnificent colors, astonishing effects and captivating music. It’s powerful and touching story of Simba - the epic adventure of his voyage from wide-eyed cub to his destined role as King of the Pridelands. Jersey Boys is the worldwide much-admired hit musical and is the winner of 21 major global awards. Once again, this year, Jersey Boys are on the stage. We are following astonishing journey of a group of working class boys from the streets of New Jersey, who worked their way to the heights of international pop stardom. Based on the thrilling true life tale of Frankie Valli and The Four Seasons, this show includes spectacular performances of the bands worldwide hits. Gotta Sing Gotta Dance featuring two hours of amazing song and dance numbers from stage and screen. 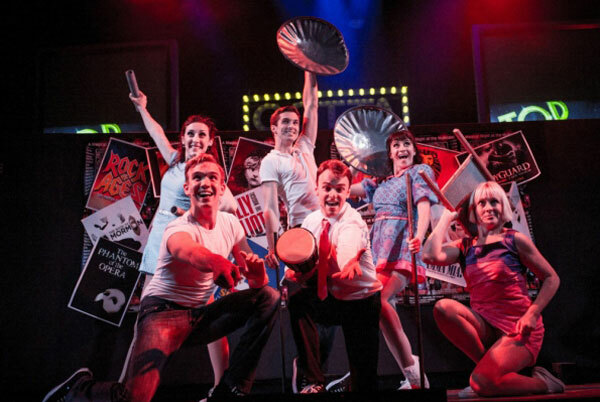 After two triumphant UK tours, Gotta Sing Gotta Dance is back with a stunning new show for 2013, and invites you on an exhilarating journey through the wonderful world of musical theatre. There are 105 costumes, 26 tap shoes, four explosions, two dustbin lids, a washboard and a watermelon and it’s all delivered by sterling West End performers. Cast and superb live band of this show invite you on a thrilling journey through the magnificent world of musical theatre. Gotta Sing Gotta Dance is an unforgettable musicals that will leave you speechless and amazed. Jesus Christ Superstar is the one of the biggest and most popular musical ever. When producers announce the return of the hugely successful legendary rock classic of Tim Rice and Andrew Lloyd Webber’s everybody were excited. The show is on stage for more than 40 years, and this year stars reprise their roles with Tim Minchin as Judas Iscariot and Melanie C as Mary Magdalene. This year 150,000 thousand people watched the show in its opening weekend, which is a testimony to a global popularity of Jesus Christ Superstar.